If you’ve pet-proofed your home, then you have taken very important steps to ensuring the safety of your pet. However, if you have not pet-proofed your yard yet, then your dog could still be in danger. Here are all of the things you need to look for in order to make sure that your dog stays safe in your own backyard. 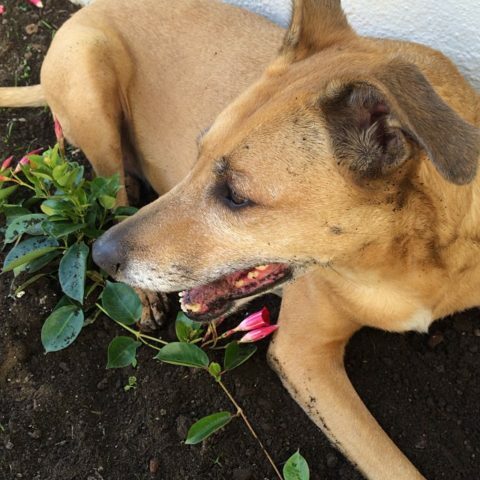 #1 – There are many plants that are hazardous to dogs. Are they in your yard? For example, foxtail grass — which is considered a weed — can release seeds that can get in your dog’s ears, eyes, and other crevices and can make your dog very sick. #2 – Most pest control and lawn maintenance products are not safe for use around pets. Keep in mind, household toxins are more dangerous to pets than they are to people. 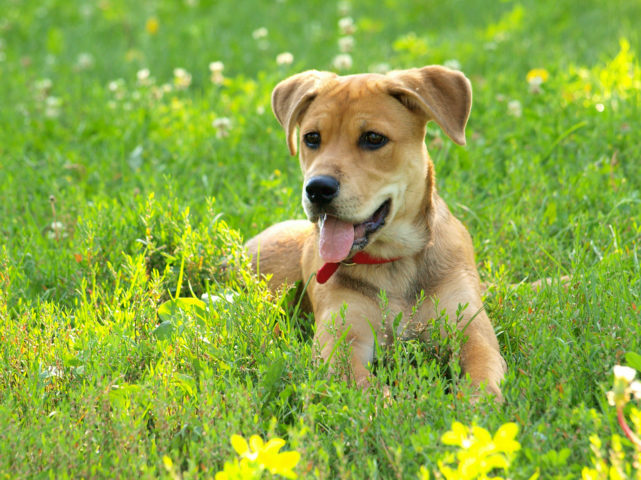 After any lawn treatments, be sure to keep your dog off the grass for 24 hours, or until you’ve had a good rain. Better yet, try to avoid using chemicals on your lawn at all. Look for natural lawn care alternatives instead. #3 – Take the time to remove items that your dog can choke on or swallow. I had a horrible experience with river stones when my dogs were puppies. 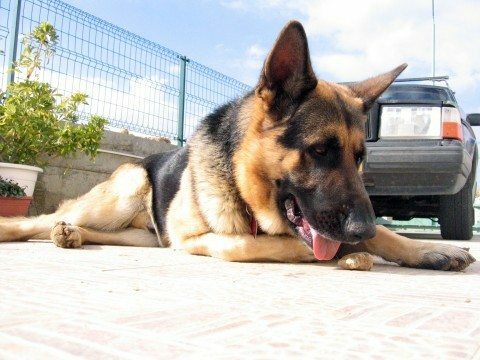 One dog swallowed a handful of stones and while he eliminated most of them, 2 stones were caught in his intestines and nearly killed him. Here’s a dog that needed surgery after swallowing a rock. 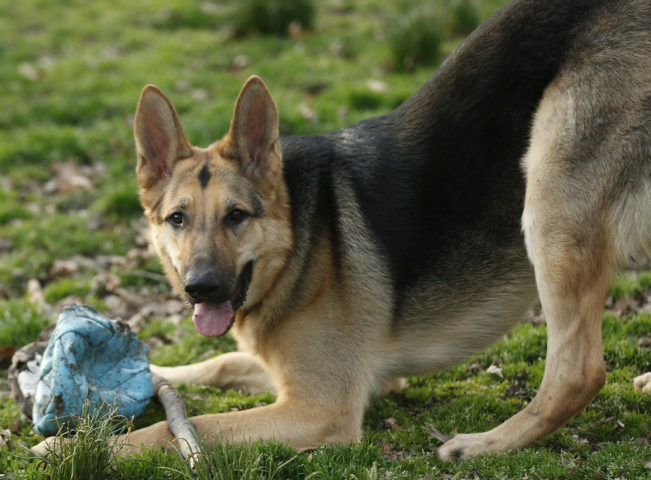 #4 – Along these same lines, be sure to dispose of outdoor pet toys that are broken or damaged because parts can break off and your dog can choke on them. In case you’re wondering, if your dog could die after chewing on a child’s stuff toy, here’s the truth? 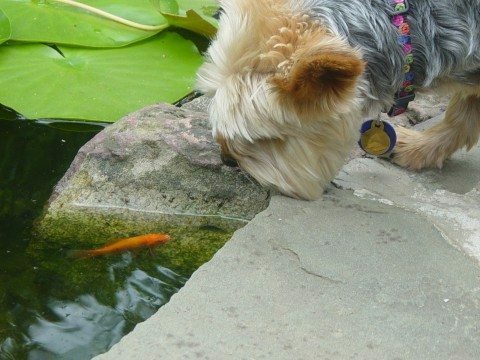 #5 – Decorative water ponds can be as dangerous to small dogs and puppies as swimming pools are to kids. They are difficult to get out of should the pet get in — because the plastic sides can be slippery. Here is a sad story about such an incident. #6 – Planning to leave your dog in the yard unattended? 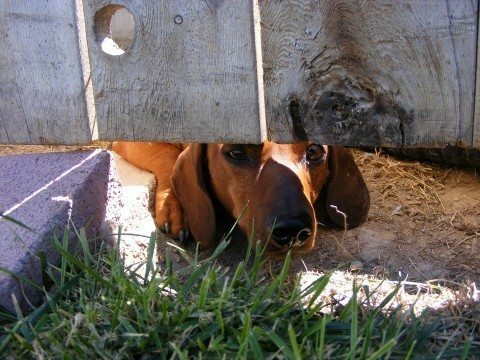 If so, be sure to install a sturdy fence that your dog cannot dig under, jump over, or squeeze through. While an invisible fence can keep your dog in, it cannot keep other animals out, and can still cause potential problems for your pet. To ensure your dog’s safety from unforeseen hazards, consider making a play area just for your dog. For example, you could create a dog-run area in your yard that is safely fenced in. This area would be free from unsafe plants, pesticides and other hazards, and could be a safe place for your dog to run , dig and play. On one end of the dog run, place a dog house to protect your dog from the elements. Make sure it is big enough for the dog to stand up, turn around, and lie down in. Here are more great tips for dogscaping your yard!